Operations director Graham Howatson said: “We’ve formed a great, mutually beneficial relationship with VBH. Recently, Rob Norman of VBH has assisted with PAS24 testing. PAS24 is now mandatory on new build houses so it’s important we comply. 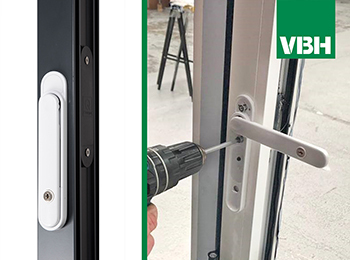 The trade fabricator has now started using VBH’s greenteQ Aspire lift and slide handles.